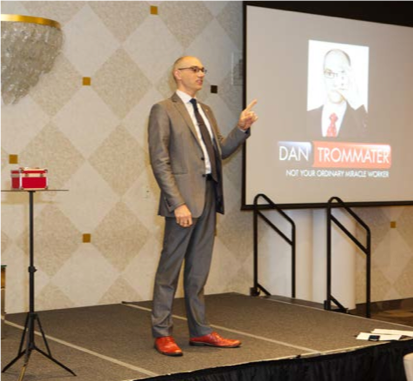 I recently presented my keynote address ‘The Magic of Thinking Differently’ to the 120 instructors and staff at the OREA 2015 Instructor’s Symposium. OREA Real Estate College is transitioning from a traditional educational approach to a ‘blended learning’ model that breaks the mold of traditional classroom instruction. Their challenge? Ensuring that the instructors embrace this critical change and think differently about how they deliver training to future real estate sales professionals. They had heard my programs are a perfect way to kickoff a change initiative. 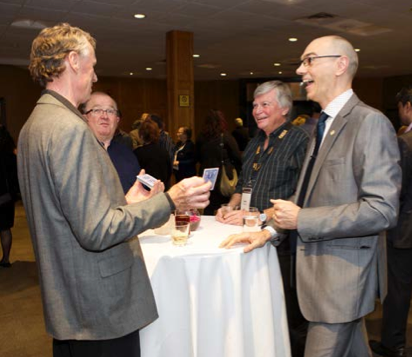 I help the audience explore challenging topics through my use of magic and humour. This unique approach allows them to lower their defenses, engage fully and see the change from new perspectives, which in turn helps them to embrace and then implement change. OREA’s blended learning model gives students more responsibility for their own education. Students learn, at least in part, through digital and online media and have some control over elements of their education, such as the pace of instruction. This represents a substantial shift in the way instructors do their jobs. Instead of being the ‘sage on stage’, they will act more as a ‘guide on the side’ to help students navigate their education. This can be scary. People resist change because they worry about how the change will impact their lives and work. It’s human nature to resist change and stick with what has worked in the past. Many of the current instructors have years of experience presenting their courses in the traditional mode and are understandably wary of such a big change. But, like it or not, the world continues to change around us, so we must adapt. When going into a change, a great place to start is to identify what assumptions you’re making, then challenge them. Sometimes our assumptions are so deeply rooted, we don’t even realize we’re being mislead by assumptions instead of making solid, evidence-based decisions. The way something has always been done isn’t necessarily the best way. It’s easy to fall into an unconscious trap and not be aware you are making an assumption (see my article on the Bias Blind Spot). By slowing down to identify assumptions, you have can make a decision based on all the information, rather than the habit. You may come to the same conclusion, but you will have done so with intention. I had a great time working with such an experienced and energetic group of professionals who care so deeply about the service they provide. I even got a chance to perform some magic with some instructors after hours.